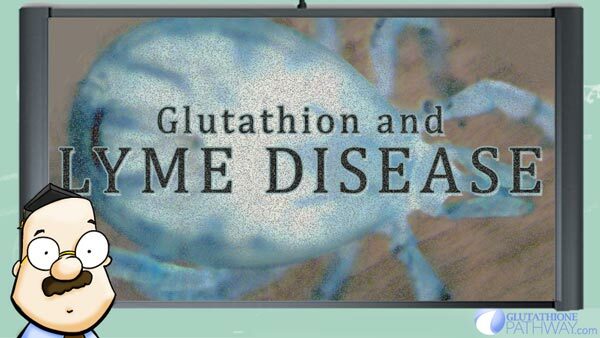 If you have experience using glutathione as an alternative treatment for your chronic lyme disease, we would love to hear about your success and share your experience! No one ever likes finding a tick on their body, but most frightening of all is that some carry one of at least three species of bacteria that lead to Lyme Disease. This tick bite is a serious matter and starts with fever and headache, very often a rash. 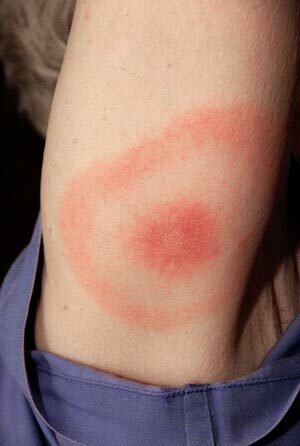 The ‘bulls-eye’ is the often talked about indicator that it could be a lyme disease tick bite, but don’t’ be fooled it doesn’t ALWAYS present with the bullseye. First and foremost if you SUSPECT you might have been bitten by a tick and are concerned about lyme disease, you need to immediately seek medical attention. If you catch it early you can usually treat it with antibiotics. Delaying treatment can lead to serious and debilitating symptoms that are difficult to deal with. After some time untreated lyme disease can leave individuals with severe and chronic symptoms. Though the words “chronic lyme disease” are not necessarily recognized and medically controversial, if you talk to anyone living with lyme disease the controversy is moot because the symptoms are very real, and can be absolutely debilitating. Lyme disease if caught early is typically treated with antibiotics with a good success rate. Unfortunately depending upon how rapidly the bacteria spread and what damage it caused it can lead to requiring a second round of antibiotics often administered by IV. Later or second stage Lyme symptoms come months after initial infection, and third stage can take years to show up. Because of the delayed onset antibiotic treatments are still used but there is great debate on how long to administer them and how effective they can be. These later stage symptoms can leave people with debilitating arthritis pain, joint pain, some suffer cranial neuritis, facial palsy, cardiac problems. Unfortunate is the delay in onset leads to many debates over the intensity, and lasting nature of symptoms. Glutathione is your body’s master antioxidant that supports both phase 1 and phase 2 liver detox. But can it help as an alternative treatment for Lyme? In the death throes of Lyme germs, they release toxins and free radicals that can trigger production of inflammatory cytokines. This is known as the Herxheimer die-off reaction. Glutathione acts as an antioxidant to help offset this reaction. Lyme disease infections and some antibiotics even can inflame the liver, and deplete glutathione. Keeping your liver healthy and producing enzymes your body needs is critical when managing any disease, and glutathione helps support phase 1 and 2 detox and protect liver cells through antioxidant function, and limiting inflammatory cytokines. Because glutathione is found throughout every cell in your body, it can help protect the brain, nervous system, liver, lungs, heart, joints and muscles, everything. When an inflammatory conditions like Lyme depletes the GSH levels it causes problems and limits your body’s ability to deal with even regular oxidative stress from simply creating cellular energy. Keeping GSH levels optimized may assist your body in keeping up normal functions while you are managing Lyme, and allowing your body to repair damage that has been caused by the invading disease. If you are managing lyme disease than you are in regular contact with your doctor and it’s absolutely worth discussing an intravenous or IV glutathione regimen to help relieve your symptoms. Though it is more work, and can potentially be expensive, it’s good to have your doctor onside and helping you through any treatment plan. IV GSH will go directly into the bloodstream and could provide immediate health benefits. By consuming good quality non denatured whey protein, the number one food to increase glutathione, your body is given the precursors to help produce glutathione itself. You can always supplement your GSH. Find a quality brand you trust that uses acetyl-glutathione, or liposomal glutathione. We would also recommend some complexes that use L-glutathione but combine it with other nutrients that can potentially enhance the function. Lyme disease works it’s way throughout your body leaving damage and inflammation on all levels. Glutathione works on every cell in the body to help protect and mitigate damage. It seems intuitive that supporting your body’s primary protector might just help in your living with lyme. one thing i have learned about lyme dse is that you cant be prelproy tested and diagnosed until it has been 4-6 weeks since you have been bitten by that tick.earlier than that might produce false positive (meaning you got a positive result but in reality you are not infected) or a false negative (you got a negative result but you are indeed infected) result. in short the diagnosis and the testing is unreliable until after 3-4 weeks has passed.just keep that tick in that box and show it to the doctor when the correct time has arrived. blood testing will be done around 4-6 weeks after the bite to determine if you are infected. I see a functional medical doc and she uses glutathione on me. I have a port in my chest that she delivers it through along with Myers Expanded. I get glutathione 2x/week and Myers 1x/week. This is done in-office by the doctor. At home M-Th each week I receive Rocephin and Azithromycin IV. My doc explained that glutathione is the broom that comes through and sweeps out all the garbage the spirochete have left behind when they died.